We are wrapping up the holidays and will soon be saying “buh-bye” to 2016! Whether you are ending 2016 with a bang or a fizzle, it’s time to set goals and create a 2017 action plan. Before setting next year’s sales growth goals, take stock in what you accomplished in 2016. 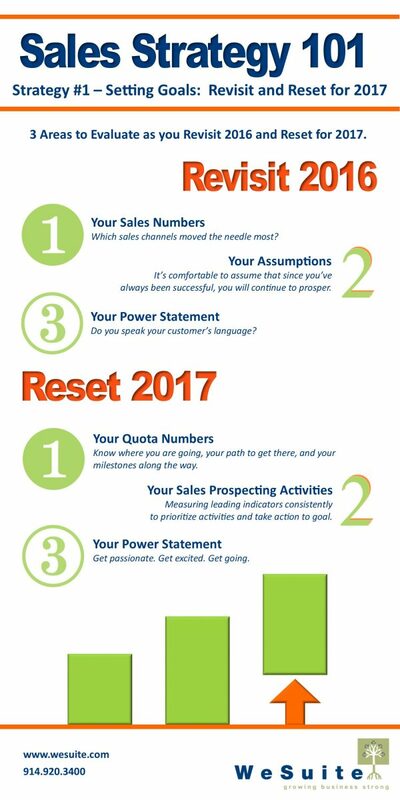 Understanding what worked and what didn’t is essential in formulating strong and specific goals for sales success in 2017.